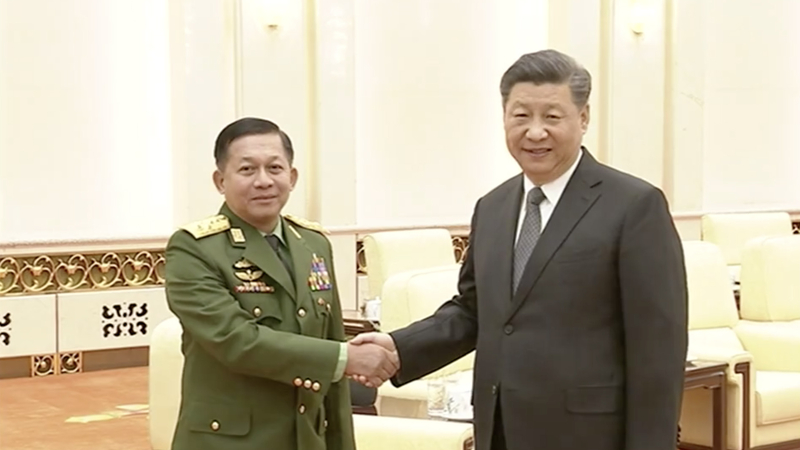 Chinese President Xi Jinping met with Senior-General Min Aung Hlaing, Commander-in-Chief of Myanmar Defense Services on Wednesday. Xi said China and Myanmar enjoy a profound friendship and China is willing to work with Myanmar toward stability and prosperity along their border areas. Min Aung Hlaing said Myanmar appreciates China's help with its national construction and military building. He also said Myanmar expects to actively participate in the Belt and Road Initiative.